Do you have constant headaches? Botox may be your answer. Whether you are seeking relief or cosmetic enhancements, Dr. Cynthia McKim offers BOTOX in the Boise area. BOTOX not only reduces unwanted wrinkles and frown lines; it can eliminate migraines and TMD (temporomandibular disorder) pain. TMD is a disorder caused by the tempormandibular joint (TMJ), which connects your lower jaw to the base of your skull. With BOTOX, Dr. McKim can eliminate this pain until you receive the proper treatment. "Some TMD problems are related to muscle pain. 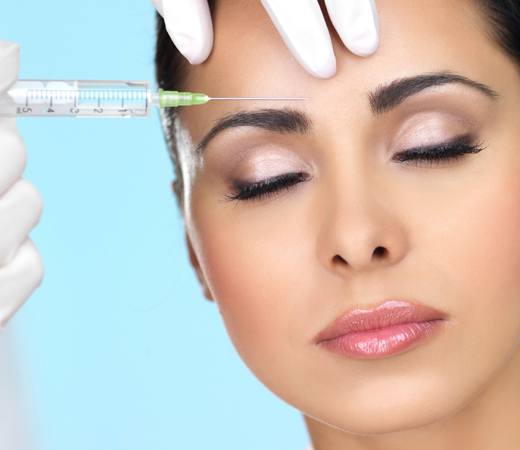 When the pain condition is related to a muscle disorder, BOTOX may be useful to relax the muscle." Your Smile Could Be Next. A dentist who removes wrinkles? Dr. McKim's precision with cosmetic dentistry easily translates into applying BOTOX. She has studied at prestigious schools, such as Dentox, and other training seminars to efficiently place BOTOX based on your facial muscles and expressions. If you just received a smile makeover, why not complement with some rejuvanting BOTOX?